The rent at Allure Apollo Apartments ranges from $1,650 for a studio to a $2,749 two bedroom. Apartments in this building are about 12% more expensive than the Camp Springs average. This is a pet-friendly apartment. Allure Apollo Apartments is an eight minute walk from the Green Metrorail Green Line at the BRANCH AVE METRO STATION stop. This apartment is in Camp Springs. Nearby parks include Michael J Polley Neighborhood Park, Suitland Bog Park and Berkshire Neighborhood Park. Allure Apollo Apartments has a Walk Score of 11 out of 100. This location is a Car-Dependent neighborhood so almost all errands require a car. Experience the ALLURE of our brand new, resort-style apartment community in Camp Springs, MD. Allure Apollo is a premium, new construction community located directly adjacent to the green line Metro. Discover the excitement and convenience of a full-amenity lifestyle at Allure Apollo, all just steps from the Branch Avenue Metro station in Camp Springs. Enjoy area amenities, including shopping and dining, and at Allure, you have a direct connection from your front door to Downtown DC, the Waterfront, or National Harbor. Apartment homes at Allure Apollo are light-filled and airy, with wood-grain, wide-plank flooring, modern two-tone kitchens with stainless steel appliances and breakfast bars, plus attached, direct-access garage parking. Allure Apollo is luxury living at its best!NOW LEASING! Stop by today or give us call to learn more about Allure Apollo. Specials: Enjoy $500 off upfront on new leases of select homes. Restrictions apply, see an agent for details. Looking for a home for sale in Camp Springs? Explore how far you can travel by car, bus, bike and foot from Allure Apollo Apartments. 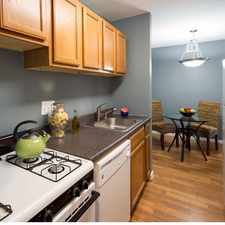 Allure Apollo Apartments has good transit which means many nearby public transportation options. Car sharing is available from Zipcar. View all Camp Springs apartments on a map. Search for homes in Camp Springs or find a Camp Springs real estate agent who knows walkable neighborhoods. Links will open on our partner site Redfin.com. 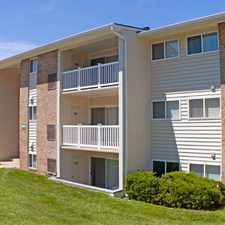 Allure Apollo Apartments is in the city of Camp Springs, MD. Camp Springs has an average Walk Score of 21 and has 19,096 residents.